Hans Hofmann, Sic Itur Ad Astra (Such is the Way to the Stars), 1962, oil on canvas, 60 1/8 x 72 1/8 inches (152.7 x 183.2 cm). The Menil Collection, Houston, TX, (95-08), gift of Mrs. Louisa Stude Sarofim. Photo: George Hixson, Houston. © 2011 The Renate, Hans & Maria Hofmann Trust / Artists Rights Society (ARS), New York. 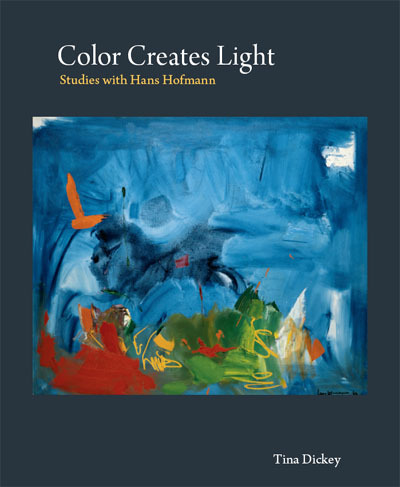 Color Creates Light: Studies with Hans Hofmann brings together the man, the schools, the painting, the ideas, and the teaching. Jed Perl of The New Republic calls this book "enormously important... nothing less than the missing chapter in the history of the period," for Hofmann's decade of painting in Paris prior to World War I, combined with his observations of the masters of all cultures, enabled him to explain Cubism to the avant-garde and catalyzed the later Abstract Expressionism. In the ateliers of German emigrant Hans Hofmann (1880-1966) in Munich, New York, and Provincetown, talented students later to become some of the most significant artists and educators of the time rubbed shoulders with critics, collectors, and curators, who in turn transmitted and transmuted Hofmann's ideas across Europe, America, Canada, and beyond. From how Hofmann taught to what he taught, artists talk shop about the inner workings of the visual language, a discussion essential to the contemporary dialogue in the arts and required reading for those engaged in creative composition, whether visual, verbal, musical, architectural, cinematic, or choreographic. Tina Dickey, artist and author, studied painting with former Hofmann students prior to conducting an oral history now in the Archives of American Art, and exhibited with them at Copenhagen City Gallery in 1993 (USA on Paper). During her nine years as Editor of the Hans Hofmann Catalogue Raisonné (1997-2006), she was chief research consultant for the PBS documentary Hans Hofmann: Artist/Teacher, Teacher/Artist (2002), while editing the journals of painter Myron Stout (Midmarch Arts Press, 2005). She has contributed to numerous books and exhibition catalogs related to Hofmann and his former students in the United States, Canada, Spain, and Germany. "I think it’s amazing that you were able to capture the feeling of what it was like to be at the Hofmann School – exactly – without having been there." 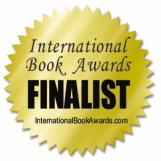 "What a book— informative, moving, and clarifies so much that was always unclear to me. One revelation after another, and it reads beautifully. Detailed, but with broad perspectives, all in the context of other important events. I hated to put it down. An amazing achievement! I was especially gratified to see both of the Hofmanns from the Houston Museum of Fine Arts. Fiat Lux was my last acquisition for the museum, and was met with stony silence except by the few who knew painting. A stormy picture, and it matched my mood at the time, so I was taken with Hofmann’s comment, in the book, that it was painted in a mood of ‘negative ecstasy’— exactly!" "An artist who 'ate color not with a teaspoon but with a shovel,' Hofmann brought European modernism and abstraction to art students of mid-century America with the same Kraft (power, life force) that imbued his own work. With sensitivity, style, and exemplary use of sources, Tina Dickey recreates the man, his work, his teaching, and the lost ambience of that idealistic era when art changed lives, before there was a mass media or international art market, and before cynicism and irony saturated the art world. In an era that regards sincerity and integrity as old-fashioned, irrelevant, and even embarrassing, Hofmann's belief that art can generate 'forces of creation equivalent to forces in the physical world' (from Harold Rosenberg's eulogy) makes clear what is lost when the importance of art is reflected in its cost rather than its value." "Hofmann’s teaching ... was crucial to a number of Canadian abstract artists, including Joe Plaskett, Hortense Gordon, Alexandra Luke, Jock Macdonald, Takao Tanabe, William Ronald, Don Jarvis, and Margaret Peterson. ... Between his arrival in America in 1933 and his death in 1966, his passionate teaching based on strong principles inspired a generation of teachers and artists. This exhaustive book not only outlines Hofmann’s biography but aims to impart his teaching, as conveyed by those who studied with him. ... Hofmann’s influence on hundreds of painters was a vital part of the scene and is at last brought to light."